Born in Montréal on April 23, 1888, Georges Vanier would feel the influence of his bilingual parents throughout his life. After graduating from high school, he attended Loyola College and then the Université Laval where he received a law degree in 1911. He started practicing law thereafter, although priesthood was also on his mind. It was the outbreak of the First World War however, that eventually grabbed his attention and he enlisted in the Canadian Army. He was a strong recruiter and played an important role in the creation of the French-Canadian 22nd Battalion. It was also during the war that he was injured and had to have his right leg amputated. After the war, Vanier returned to Canada where he remained in the military and served on several diplomatic missions. Over the next 20 years or so, he was named the acting aide-de-camp to two governors general, became Lieutenant Colonel of the Royal 22e Régiment at La Citadelle, and was appointed to Canada’s military delegation for disarmament at the League of Nations and to the High Commission of Canada in London. In 1939, he was named to the position of the King’s Envoy Extraordinary and Minister Plenipotentiary to France. With the outbreak of the Second World War the following year, Vanier and his wife eventually made their way back to Canada where he took command of the military district of Quebec and began the early policy of bilingualism in the army. The post-war period brought him more promotions and he once again served his country in various diplomatic functions until his retirement from military life in 1953. 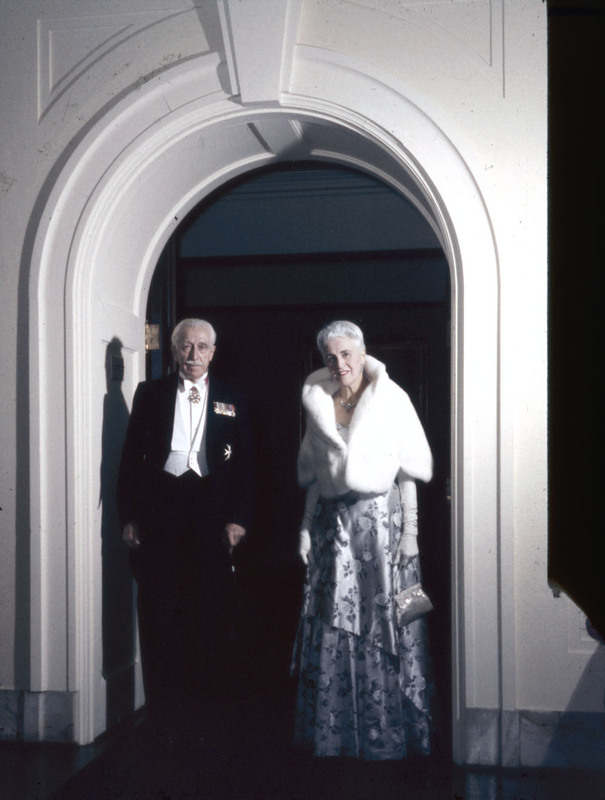 In 1959, he was appointed the first bilingual Governor General, which started the tradition of rotating between French- and English-speaking persons. Although he was 71 and had some health issues at this time, he was known for saying: “If God wants me to do this job, He will give me the strength to do it.” During his term, he strongly believed in the importance of unity of the country, which was experiencing a difficult economic time and the rise of the Quebec separatist movement. Vanier promoted bilingualism throughout his tenure, giving speeches in both French and English, as well as having bilingual signs installed at Rideau Hall. On March 4, 1967 in a discussion with Prime Minister Lester B. Pearson, Vanier said he intended to stay on as Governor General until the end of the year. He was 78 and his health was failing. The next day, March 5, Georges P. Vanier passed away. Throughout his military career, he received many decorations, medals and honours. Vanier also believed in rewarding others and created the Vanier Cup, the Governor General’s Fencing Award, the Vanier Awards for Outstanding Young Canadians, as well as the Vanier Medal of the Institute of Public Administration of Canada. 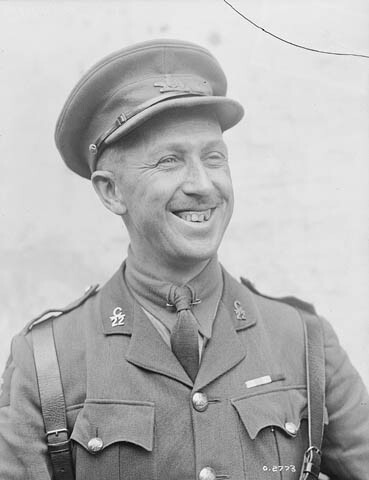 This entry was posted in Military Heritage, Our Collection and Facilities and tagged First World War, Georges Vanier, Governor General of Canada, Military, Royal 22e Régiment, Second World War by Library and Archives Canada Blog. Bookmark the permalink. Thank you for reminding us of the career of this distinguished Canadian. The statement “With the outbreak of the Second World War the following year, Vanier and his wife eventually made their way back to Canada” is somewhat ambiguous at least. 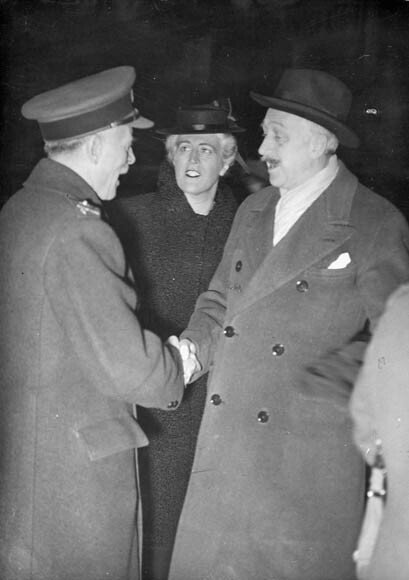 War broke out in 1939 and the Vaniers stayed in Paris until 1940 – something Madame Vanier reminded President deGaulle of in 1967. It should be noted that in the documents which can be reached by the links in this posting General Vanier’s first name appears as George (no final ‘s’) – e.g. his attestation papers, the census returns and the medal listing. This is also the case in the Flickr album – the signature on a photo and the commerative stamp.